Happy New Year everyone! 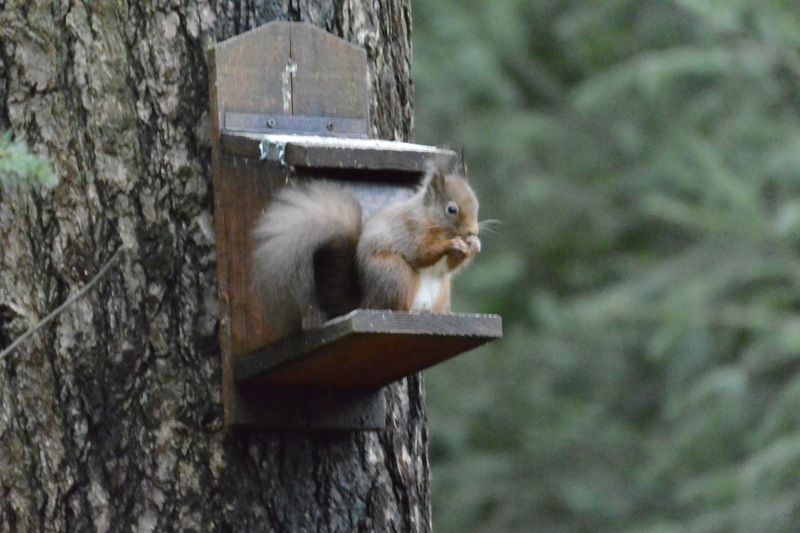 I haven’t quite got my blogging mojo back for 2016, so in the meantime here are a few pictures John took yesterday from the wildlife hide at the Queen Elizabeth Forest Park Lodge near Aberfoyle. More posts soon! A nice treat! Great shots. Wildlife is not easy. John never fails to impress. The first one is particularly awesome. Thank you! I keep telling him he should get his own blog instead of letting me pinch all his pictures. Maybe when he retires……. Happy new year! I’m having a bit of trouble with the mojo thing this week as well…but working on it. I’m glad I’m not the only one, but hope you get your mojo back soon! Lovely photos. 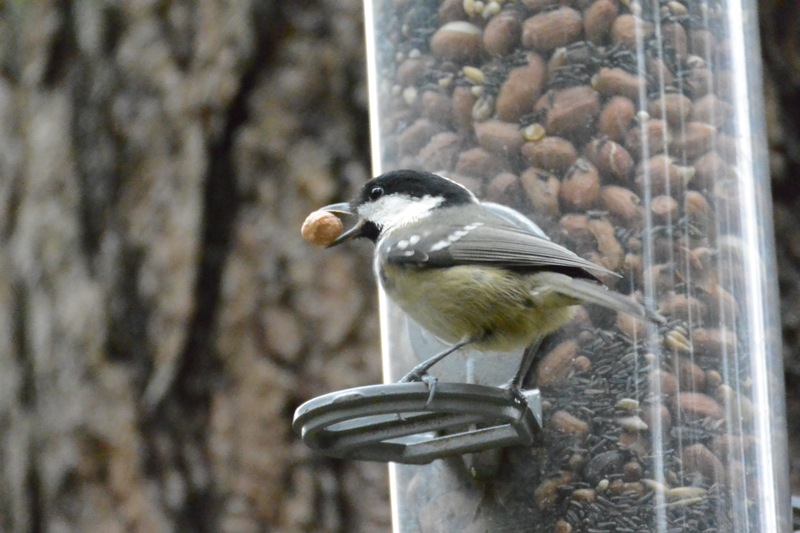 The first one reminds me of the wise dog cartoon… just replacing a bone for a seed. Funny, I’ve just been in Aberfoyle too, but it was a small town in Ontario as we were driving from Toronto to my parents’ home. The birds and other creatures were thin on the ground, despite the mild temperatures. We saw one black squirrel and some rabbit tracks, but that was it! Happy new year to you too! I love finding familiar names in unfamiliar places. Oh I just love these little ones! I think it’s good to ease back into it. At least, that’s what I’m telling myself as I answer comments from posts that are very much pre-Christmas. At least I’ve got the posting back to normal. I’ll take whatever little wins I can get! Me too! At least I’m on the scoreboard for 2016 now. A Happy New Year to you Anabel, even if it is a bit late. Thanks Eunice! Happy New Year to you too. I didn’t know that about Atkins. 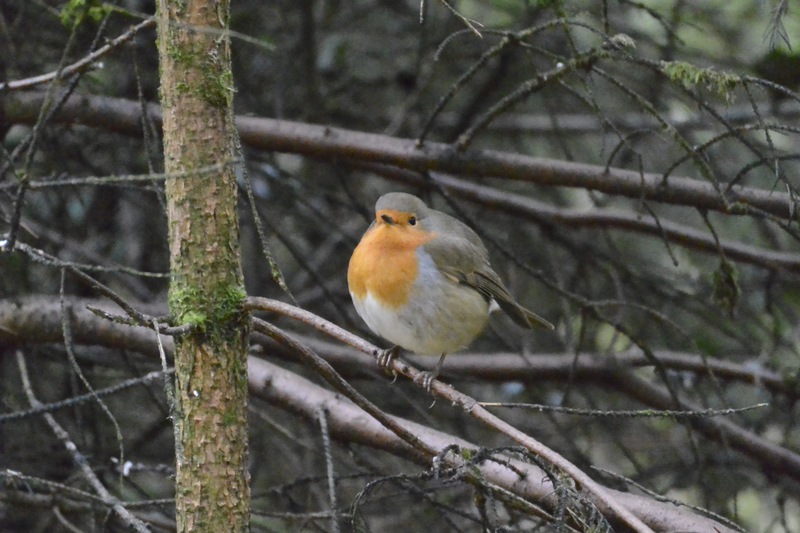 Anyway, the poor wee robin looks as though he will explode before he gets as far as Weightwatchers! I posted my first post for 2016 today. It’s kind of hard going back into the swing of things, isn’t it? It is! Ideas aplenty, just getting them down…. I also like wildlife photos. Before they built new houses across the street from me I used to see deer in my back yard. Oh wow, that would be fabulous! Thanks for making me smile. I love wildlife photos. I’ve been trying to get some decent shots of the blue jays and cardinals that land on the naked branches, but it’s as if they’re taunting me because as soon as I get my phone to camera setting they are no where to be found. Beautiful rest of Tuesday to you. Thank you! It took a LONG time to get these.